You have to give Black Hand a big hand. Because he does play very well with his Mariachi Band. Never does he carp. Whilst he is strumming his harp. Although his composition does come across as quite bland. Let's hope I don't say the same about these guys, right? 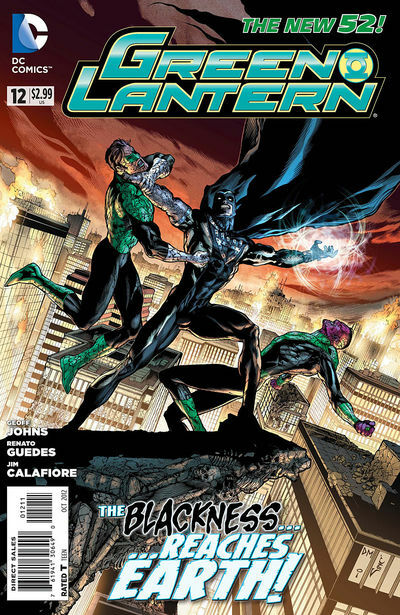 Writer: Geoff Johns; Artists: Renato Guedes and Jim Calafiore; plus Publisher: DC Comics in August 2012. In many ways this second part of 'The Revenge Of The Black Hand', reminds me never to take electricity for granted. Well, you'll never know when the power will abruptly go out, will you? Just picture the scene you plumb. Black Hand has the 'Book of the Black' in his... errr... hand, and is ready to turn Hal and Sinestro into the Lindsay Lohan's acting career -- i.e. yesterday's news. When suddenly, out of the blue, Hal finds a way to subdue this fiend, just long enough for him and his pink-faced 'sidekick' to get away A.S.A.P. However, how was Hal supposed to know that a sh*t load of 'Black Hand's' zombies were waiting outside the door? Moreover, that all of this is part of the Guardian's master plan for their new 'Third Army'? Bugger! Let's hope that Sinestro can pull something out of the bag, huh? Preferably something yellow. Hint-hint! To be continued when a dark ledger foreshadows Hal's dark future. There was one word in this issue that really did ignite my own little grey cells. You see, for Black Hand to say that no one knows who wrote 'The Book of the Black', then to me, this is a sign to state they will find out who did in the future. I'm betting on Damien Wayne. He's a sneaky little sod that one is, ha! Hands down, the best thing about this issue is the confirmation that the blue-skin bastards -- known as 'The Guardians' -- want to decimate all of the corps, and then replace them with their 'Third Army'. OK, I know that this has been hinted at in all of the Green Lantern titles. But it is nice to see it in print, and explained in a very nice way. It was a little bit groan-worthy how easily Hal overcame Black Hand at the beginning of this adventure. It just felt very disposable to me -- as if it was a deliberate delaying tactic to explain something else shoe-horned into this issue. STORY: Famed film director, Alfred Hitchcock, once said that sometimes its what you don't see that is more intriguing than what you do see. In this issue this concept is relayed really well by 'The Book of the Black' -- particularly its final cryptic remark about Hal. Ohhhh! That was a zinger. ART: Well havens to Betsy and slap my bea-hind with astonishment, I hardly noticed that there were two artists on this book. Granted, I could tell that Doug did pull art chores this time round. But I would never have guessed that Renato Guedes and Jim Calafiore both worked on different parts of this story if it didn't state this in the credits. Bravo guys. That is precisely what I like to see on a collaboration -- with Renato taking one part of the tale, and Jim concentrating on the recap. Smashing. 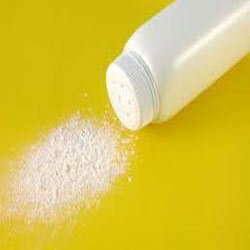 THE GUARDIANS: ...where as these blue-faced buggers might share a similar odder than talcum powder skived in a clinic. You know where I am coming from, huh? Never Piss Off A Blue Dwarf In A Red Dress, Unless This Person Is Appearing On 'Judge Judy' Tomorrow. As soon as I saw that scene where Hal and Sinestro were surrounded by the army of zombies, one thing popped into my mind straight away. Michael Jackson's 'Thriller'. OK, not an exact fit for this tale, admittedly. Although they do both share a similar spirit of adventure, right? Wow! What the hell is going to happen now? Can Hal really turn into a politician? (i.e. dead from the head down). And why do the Guardian's want to call their new 'task force' the 'Third Army'? Why not something like 'The Gaga's' instead? That way it would be a lot harder for me to find an image of them in Google. Oh! I don't know. It's all a bit too 'new for new' again in my eyes. Plus I am not really sure if this is a good thing or not yet. Let me know what you think comic book fans. Spam me. Or answers on a post-card please.